Danfoss Power Solutions has introduced its first CAN rotary device, the HMR CAN Rotary, as part of its Plus+1 family of mobile machine management products. It features J1939. 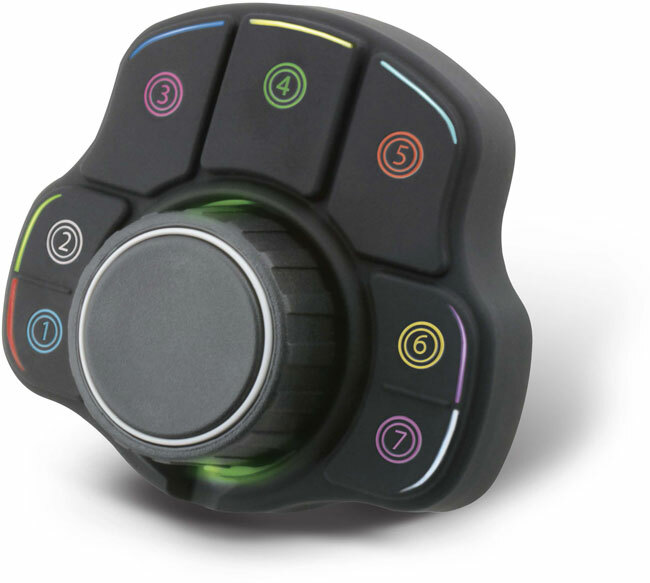 HMR CAN Rotary offers five-finger control with seven large push-buttons and one central “select” button. This allows for “blind operation,” keeping operators’ eyes on the road. Plus, the device is engineered to withstand the rugged demands of off-highway applications. It features mechanical, electrical, and Ingress Protection specifications — meeting IP66 and IP67 ratings — and is suitable for installation in open and enclosed cabs. The buttons and rotary are designed to hold up for more than 1 million cycles. With rotary, operators will no longer need to reach the display for full functionality. This gives OEMs greater overall design flexibility, said the company. Displays can now be placed wherever it makes the most design sense, rather than based on where the operator can reach it, potentially improving the line of sight. OEMs can tailor the product to coordinate with their existing machine’s branding and design. The indicator lights, button backlights, and rotary backlight are all equipped with RGB LED lights. This allows for countless color options with adjustable light intensity and frequency. Each button graphic can be customized to best fit application needs. © 2019 CAN in Automation GmbH. All rights reserved.